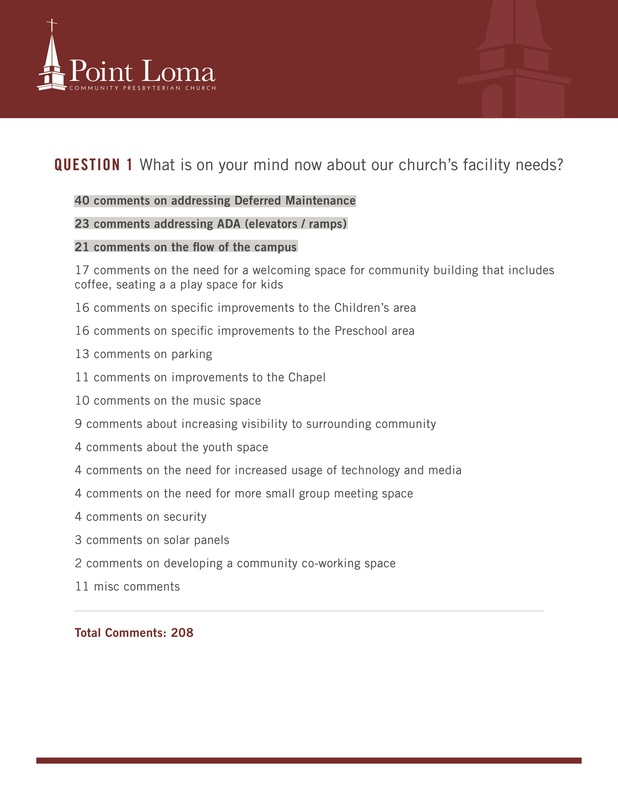 The Renovation Task Force is a sub-committee of Session, working (since July 2018), to provide Session and the Congregation with information necessary to prioritize renovation needs for our church campus. In their work, the Renovation Task Force is guided by church’s Vision, Mission and Values and by the Mission Study (click for link to the full study). The Renovation Task Force first sought to understand how the PLCPC campus is currently used. They hosted personal interviews with groups as well as sent an online questionnaire to every group who meets on the campus. 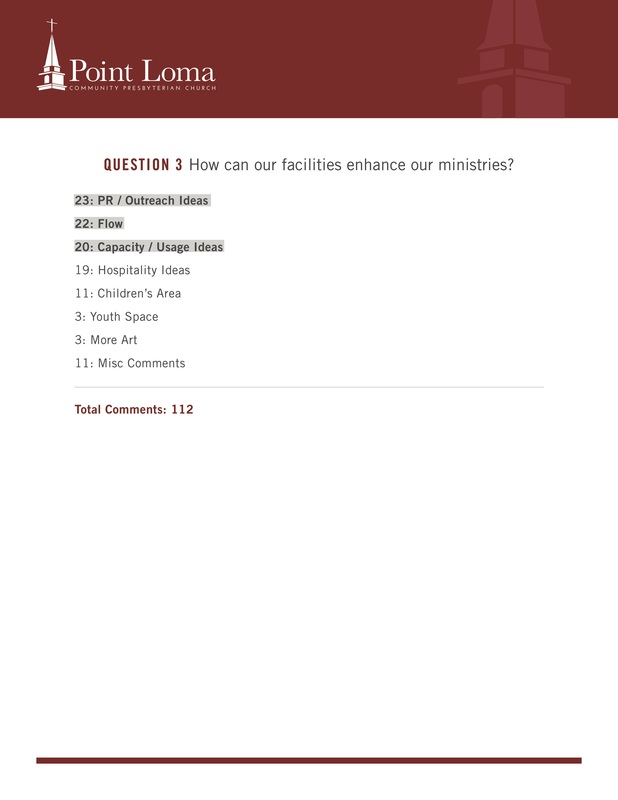 In total, 30 individuals were interviewed and 27 online questionnaires were completed. 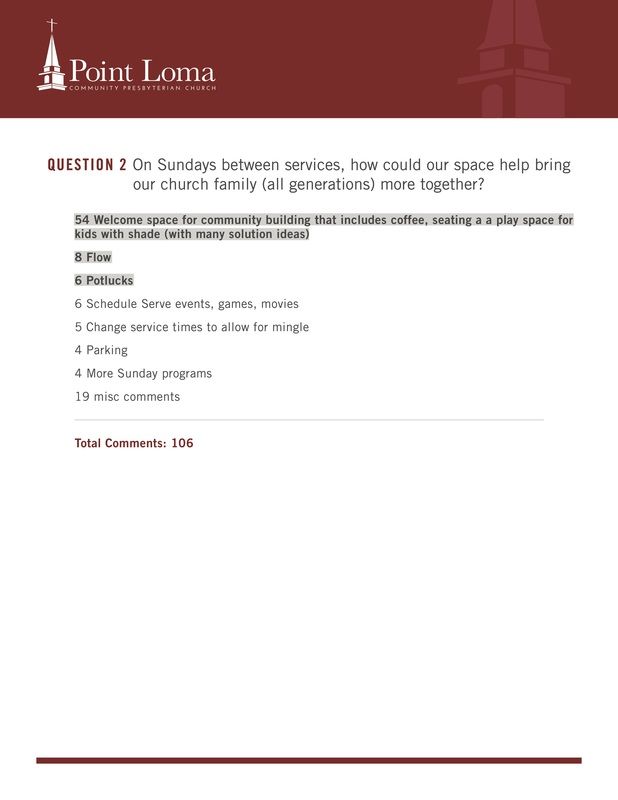 In addition to interviewing user groups, the Renovation Task Force held two Hall Meetings, attended by over 150 individuals, primarily church members, and made available on the church website an email address for supplying additional input, renovation@pointlomachurch.org. The summary of the responses gathered from the Town Hall meetings is posted here. 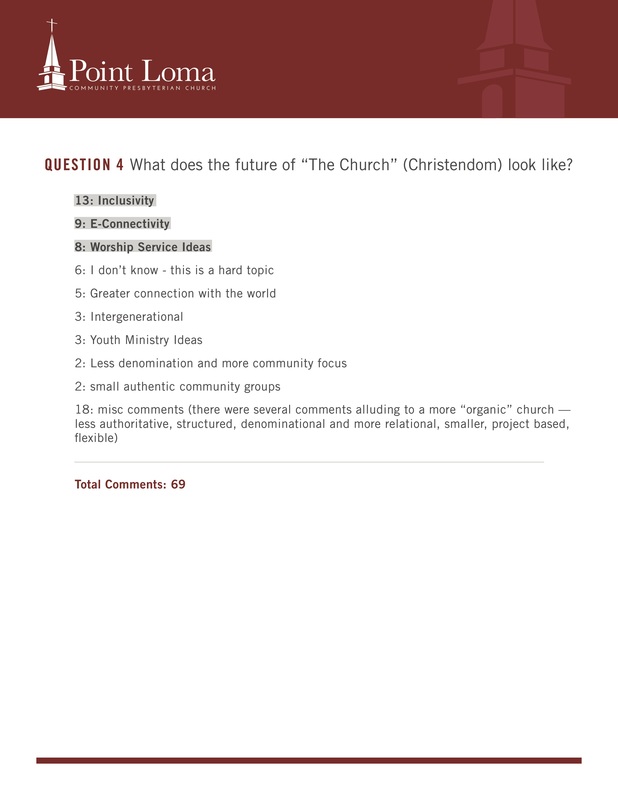 Click on the images below for a summary of responses from each question. Email with feedback or questions.